California lawmakers announced a series of budget proposals Wednesday calling for more training of law enforcement officers on how to handle people with mental illness. While lawmakers have been working on the proposals for weeks, there is renewed emphasis on them in the aftermath of a gun rampage that left seven people dead near UC Santa Barbara last weekend. “How do we stop this before it happens?” said Sen. Hannah-Beth Jackson (D-Santa Barbara). Sen. Loni Hancock (D-Berkeley) says the problem continues inside the state’s jails and prisons, where nearly half the inmates suffer from mental illness. She cited incidents where mentally ill inmates were improperly pepper sprayed. Senate Democrats want to see more money invested in training law enforcement and prison personnel in how to deal with mentally ill offenders. It’s just one of a series of policy and budget proposals the caucus has been working on. But now they say their efforts have taken on even greater importance after what happened in Isla Vista. 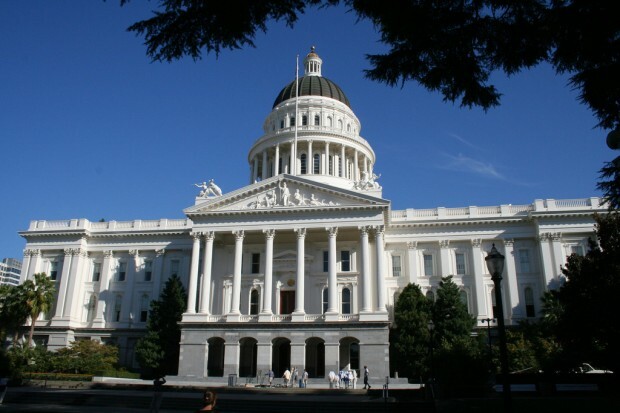 “These proposals, finalized earlier this month, are now cast under a different light than any of us had every planned,” said Darrell Steinberg, Senate president pro tem. “It’s a cruel and sad coincidence.” Steinberg also stressed that most people with mental illness are not violent. He and his allies want to spend $132 million on efforts aimed at reducing the number of people with mental illness who are incarcerated, and lowering recidivism rates of people who are released from prison, then re-offend because they could not get proper mental health treatment. Reform the way people with mental illness are sentenced, in part, by establishing more mental health courts that take a person’s mental health into account when judging a crime, and consider alternatives to incarceration for non-violent offenders. Provide more meaningful treatment for the mentally ill, both while they are incarcerated and particularly, when they are released. Establish a process and criteria for humane releases. People with mental illness are denied parole more often than other offenders, according to the Stanford report. Lawmakers suggest providing more case managers and services for parolees with mental illness. A final budget is due next month. The Senate must first get the state Assembly and the governor to agree to these proposals before they become an official line item. They’re unlikely to face opposition from law enforcement advocates who agree with the goals of the proposals. He says law enforcement is equally interested in reducing recidivism as lawmakers. “We haven’t seen the details, and that’s where the devil is,” Brown said. “But nobody’s fighting over the goal."